One of the lucky perks of being a writer for parenting publications is I get to review toys, all year round and even more so in the holiday shopping frenzy that leads up to Christmas. I go to the annual Toy Fair in New York City and to smaller events throughout the year and find out both what's hot from the big players and what's cool from the smaller specialty companies. 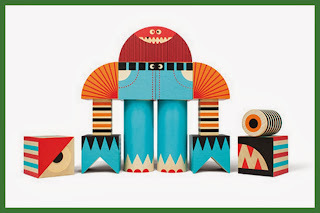 New Jersey Family Magazine Holiday Gift Guide - this gift guide has gifts in categories from WOW! Factor to Making a Difference. 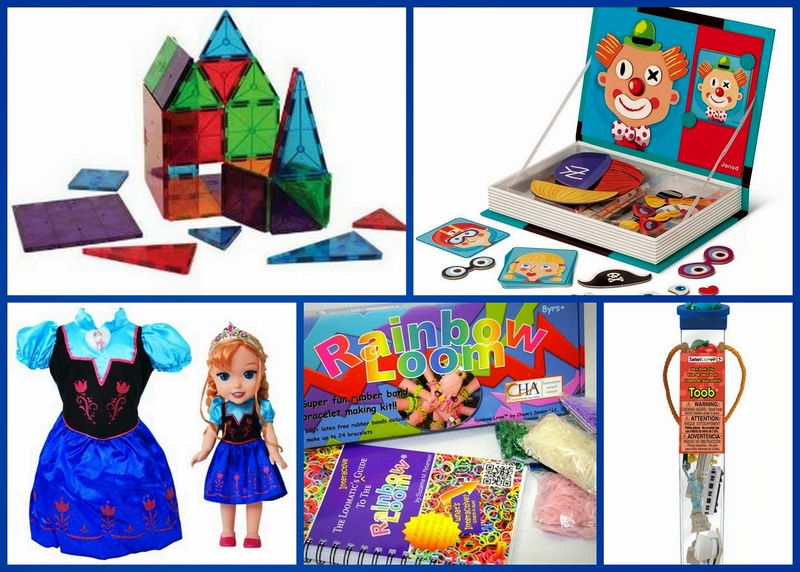 You'll find something for every kind of kid and occasion. 10 Best Gift for Kids this Holiday Season - I'm sharing my own favorite picks on BaristaKids.com for kids toys and gifts, most which have been personally tested (and approved) by my three kids. I also have eight gift guides I wrote here, covering everything from the Best Wooden Toys to toys with the words a parent most likes to see: No Assembly Required. And if you've already moved on to the gift wrapping portion of your holiday season, here are my tips for wrapping gifts without tape, and even without wrapping paper. Note: The Happy Holidays blocks pictured top left are from Uncle Goose, these handcrafted wood blocks made in the USA are one of my favorites and come in lots of fabulous designs, including the Hebrew alphabet and the newly issued Stack and Scare. Do you have a favorite kids toy? Share in the comments! And more importantly, if there are any to avoid let me know! My boys love those Magna Tiles in the upper left hand corner. We got them last year, and I'm amazed to see what they create with them. They stay together pretty well, too (of course, nothing is indestructible when you have four boys!). 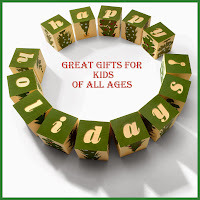 These are awesome gift ideas for Children, I got bookmarked your site.